Trackdown Scoring Stage (www.trackdown.com.au) is one of Australia's largest, independently owned, purpose built Orchestral Film Scoring Stages conveniently located on the FOX studio lot in Sydney. Built in 2003, it features the latest in acoustic design resulting in one of the finest rooms available for orchestral scoring anywhere in the world. 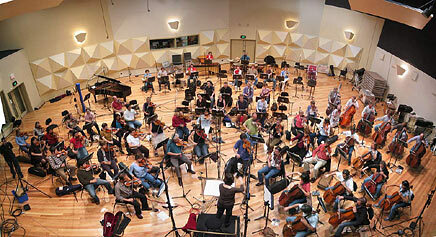 TSS has facilities to comfortably accommodate over 100 musicians.